There is Truth Serum. I’ve used it often and it really works. Actually it’s just a vail of distilled water but the guy your questioning doesn’t know that. 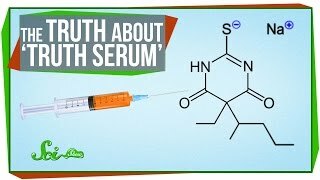 Truth serum is a term given to any of a number of different sedative or hypnotic drugs that are used to induce a person to tell the truth.